Some of the most beautiful textured stitch techniques you can use are Hungarian Needlepoint Stitches. Highly decorative, the basic stitch is better known as “Hungarian Point” because of its “small stitch, large stitch, small stitch” rhythm that forms tiny diamond shapes when completed. Each diamond is separated from ones on either side of it by two vertical canvas threads. Once you get the feel of the simple straight stitch technique, it is easy to work across a needlepoint design without having to constantly look at the stitch diagram. Hungarian Point is perfect as a background—especially when used to fill in around a blocked or squared design motif. Worked in horizontal rows across the needlepoint canvas, it can stand alone as a geometric needlepoint pattern; or if worked a few inches deep around the edge of the needlepoint design, it makes a lovely textured border for a bold motif (see the Long Stitch Hearts pattern). The basic stitch technique works well on any size canvas; although its texture is more visible on #13 to #5 mesh needlepoint canvas. The Hungarian Point Stitch works up almost twice as fast as traditional tent needlepoint stitches, which makes it a perfect choice for quick needlepoint projects worked in spare moments. For a small to medium size project, you can usually work the entire background fill area in Hungarian Stitch in just one sitting. 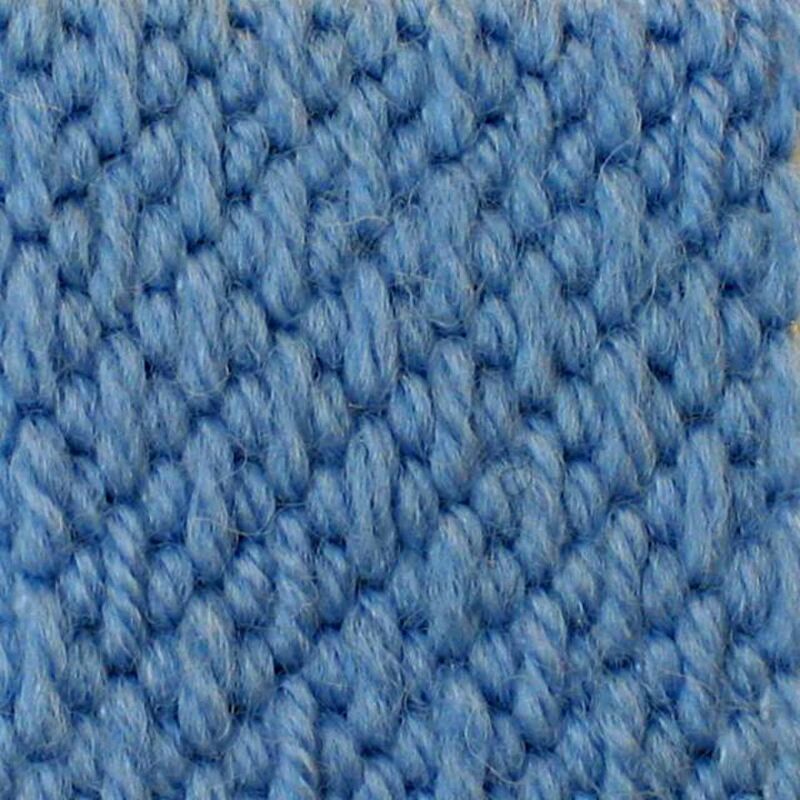 Hungarian Point is a vertical stitch, which fits nicely into the space between two vertical canvas mesh. Start at either the left or right side of the needlepoint design area, whichever is most comfortable for you. The above stitch diagram shows the sequence worked from right to left. If you are left-handed, you will want to work from left to right. Bring the needle up through the back of the canvas at position (1). Go over two horizontal canvas threads and back down through the canvas at position (2). The second stitch is worked by bringing the needle up through the canvas at (3), over four horizontal canvas threads and down to (4). The final stitch is worked as the first, over two canvas threads (see positions 5 and 6). Skip two vertical canvas threads and repeat steps 2 and 3, coming up at position (7) and going down at (8). Continue working across the entire first row. The second row will begin in the same manner, only in the opposite direction with short stitches under short ones and long stitches placed directly under long ones. Once the second row has been stitched, you can easily work subsequent rows without having to constantly look at the stitch diagram. Most yarns are appropriate for working the stitch; but Persian, silk-wool blends, and cotton embroidery floss tend to bring the texture to life. The close tight-fitting Hungarian Stitch is ideal for needlepoint projects that will receive a great deal of wear. Here are a few project ideas to spark your imagination and interest in using this versatile stitch technique. Needlepoint Eyeglass Case - If you are looking for a fast and easy way to make a decorative gift for someone who wears eyeglasses, a case worked in Hungarian Point in two or more alternating colors will be quite stunning (see the example in the above image)! Artistic Needlepoint Tapestry - Try working the stitch on rug canvas for a Quickpoint tapestry or wall-hanging. Vary the shapes, colors and thread textures to create a one-of-a-kind work of art! Draw squares, circles, and other shapes to work a modern art needlepoint piece. Needlepoint Pillow - Combine the Hungarian Point Stitch with Long Stitch and a couple of other decorative needlepoint stitches to make an unusual throw pillow. Needlepoint Fashion Accessories - Needlepoint belts, purses, straps and other accessories will definitely make a statement about your creativity when worked in basic Hungarian Point needlepoint stitch.